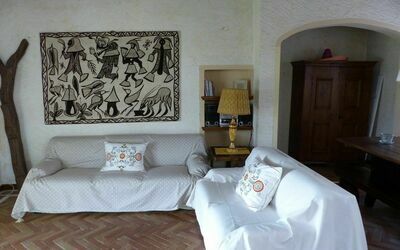 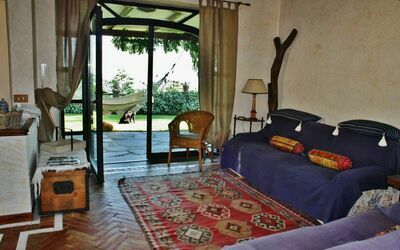 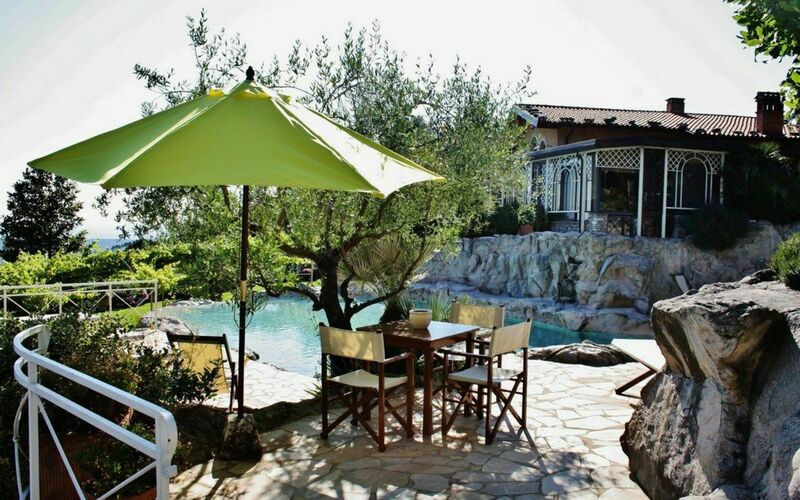 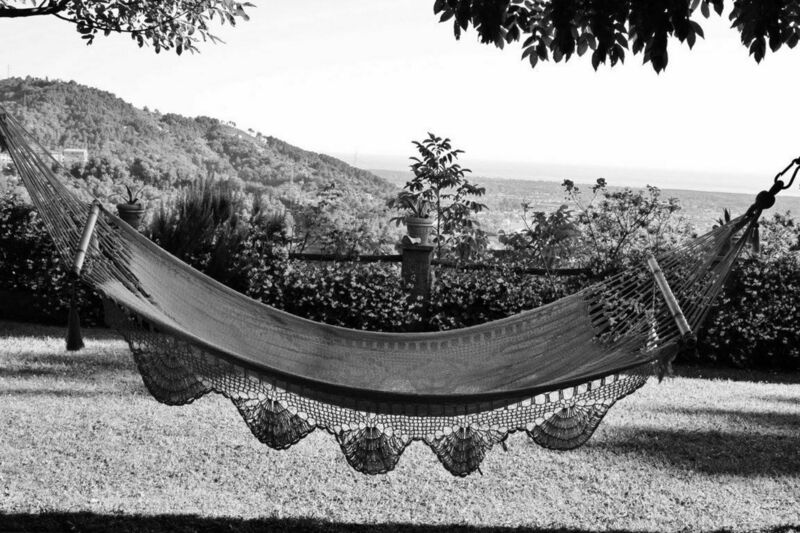 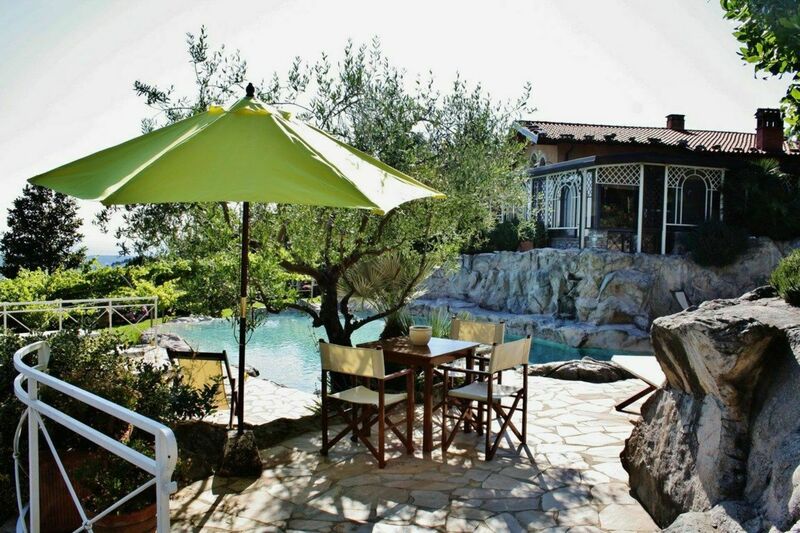 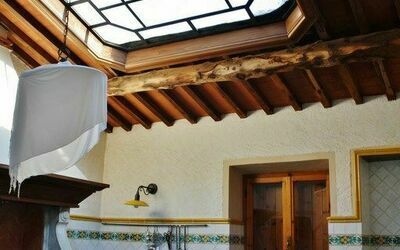 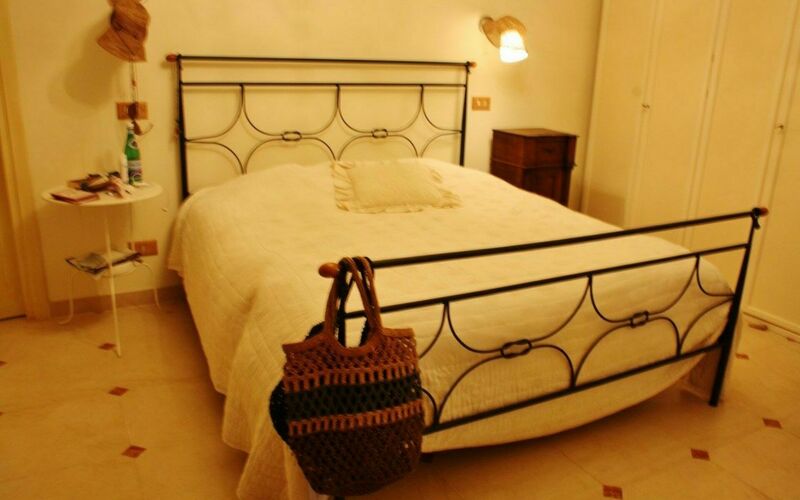 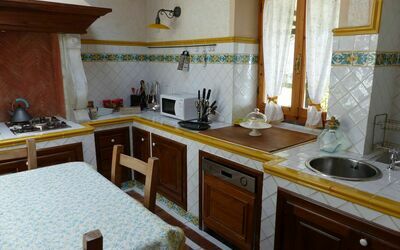 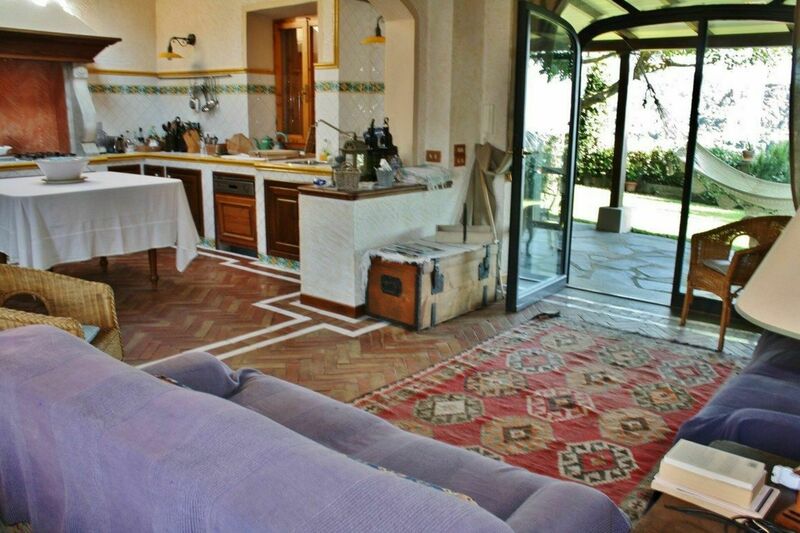 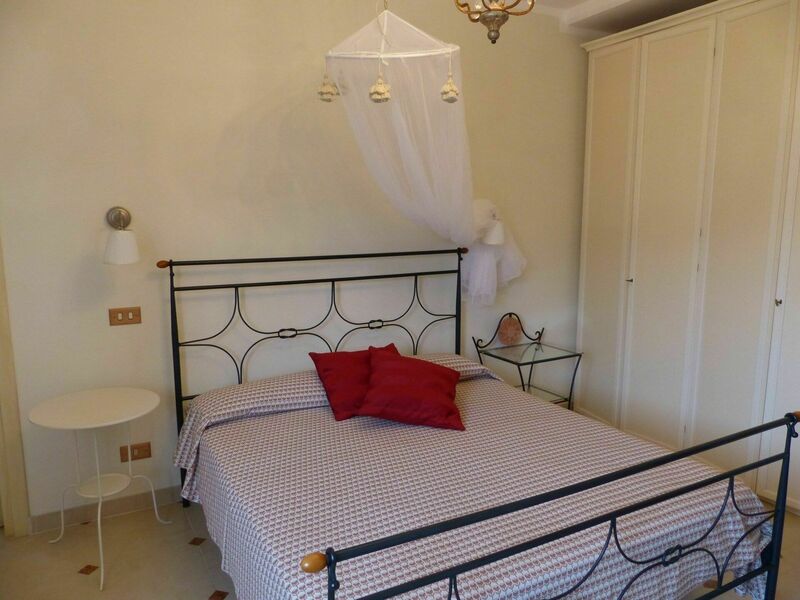 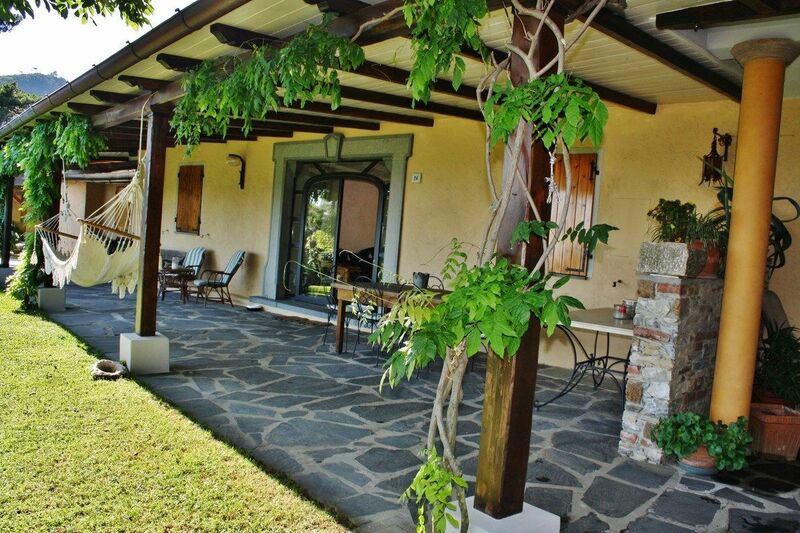 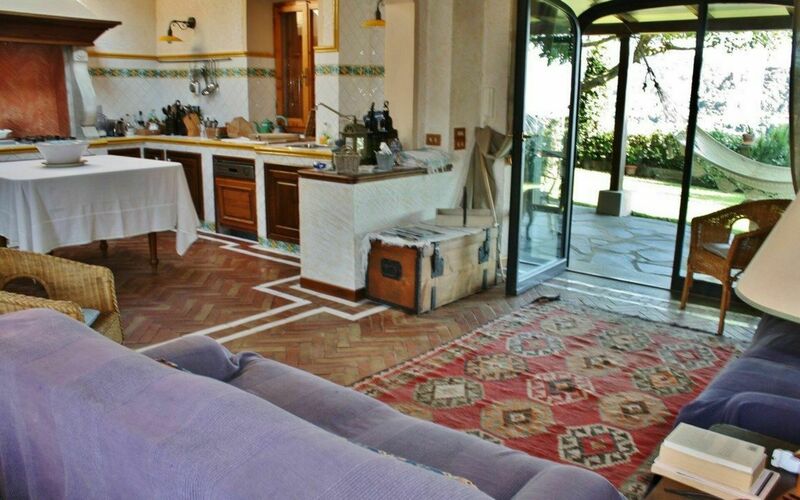 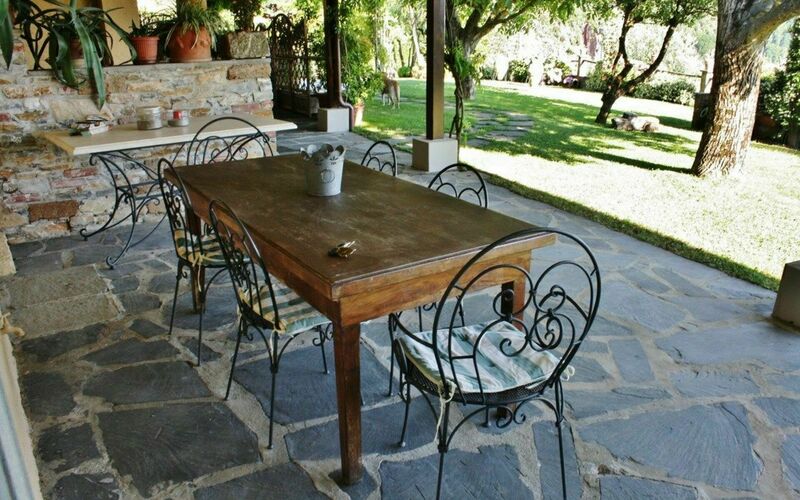 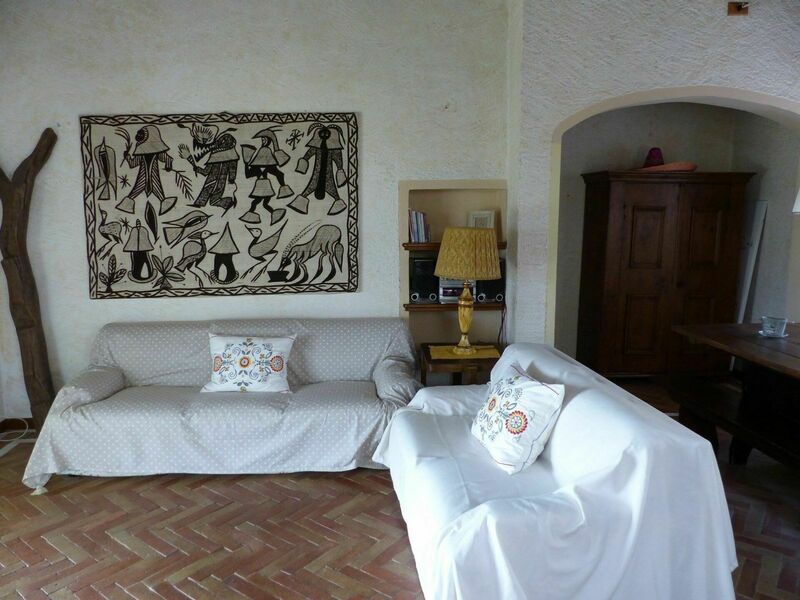 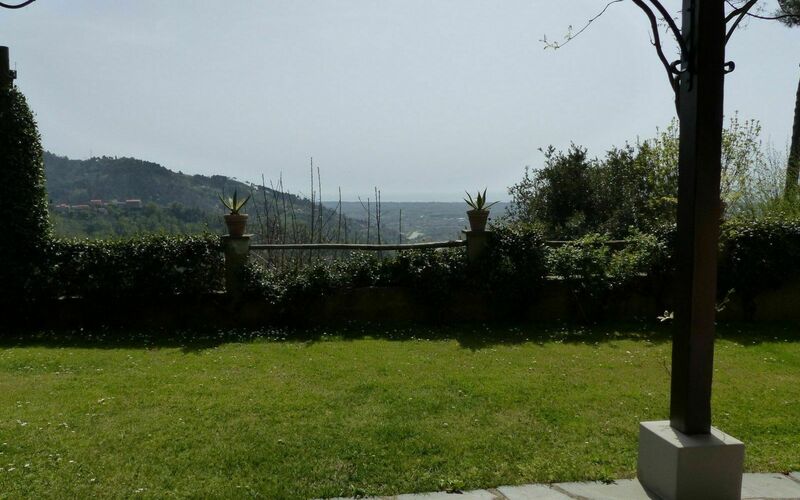 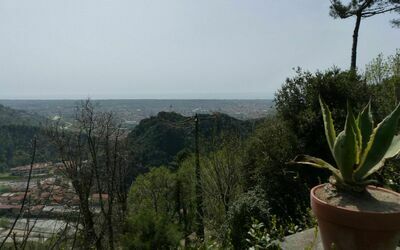 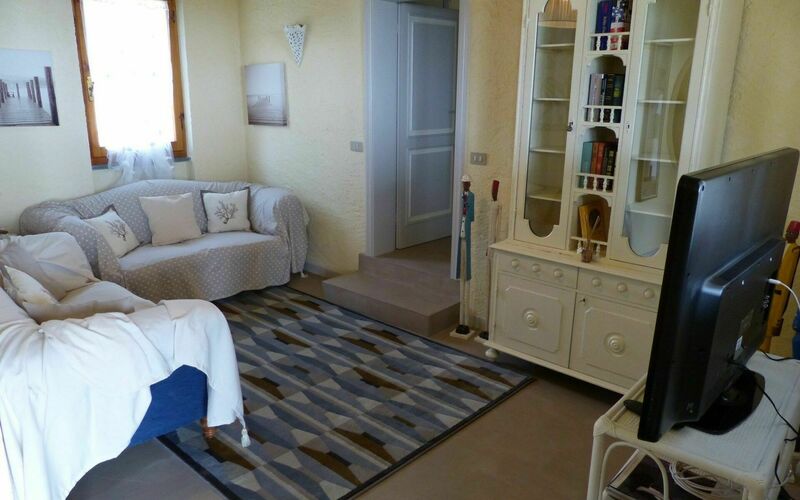 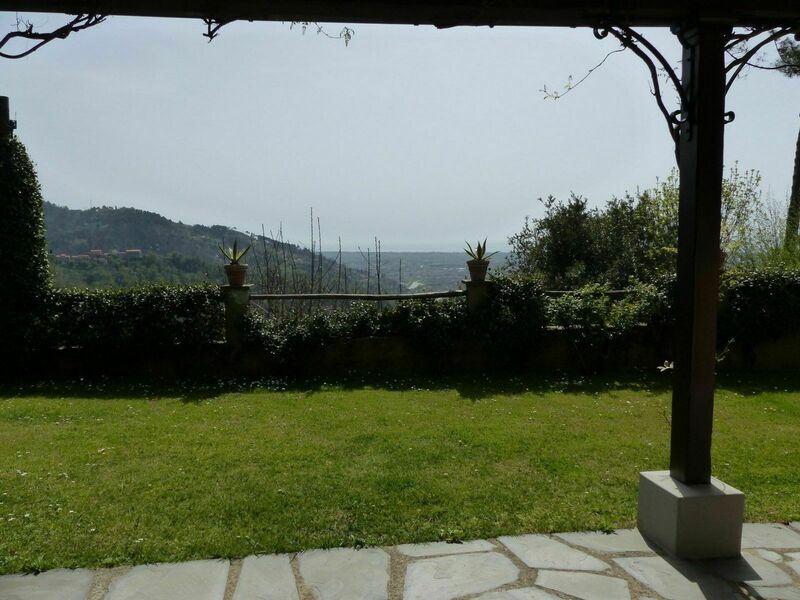 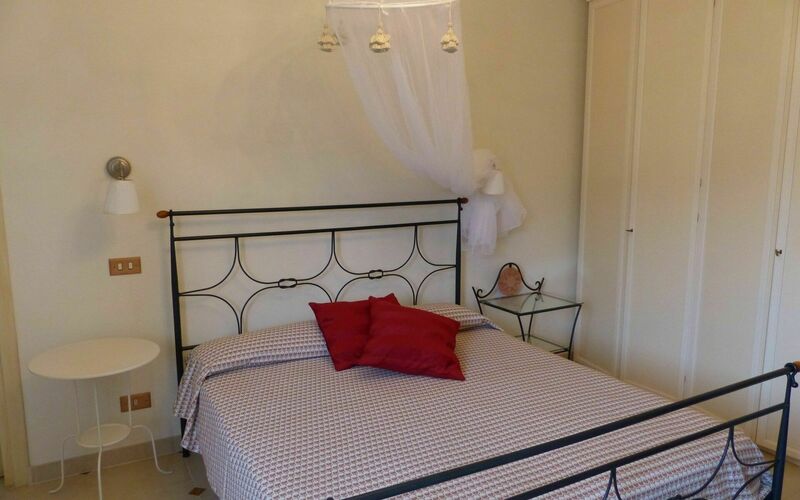 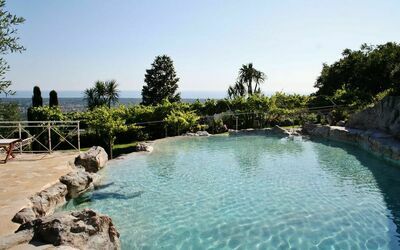 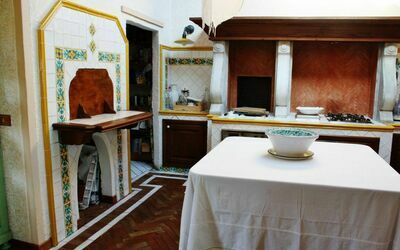 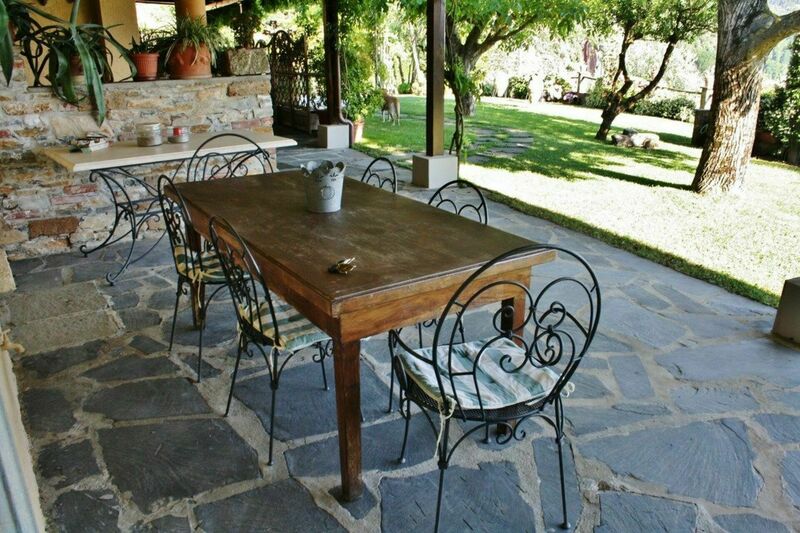 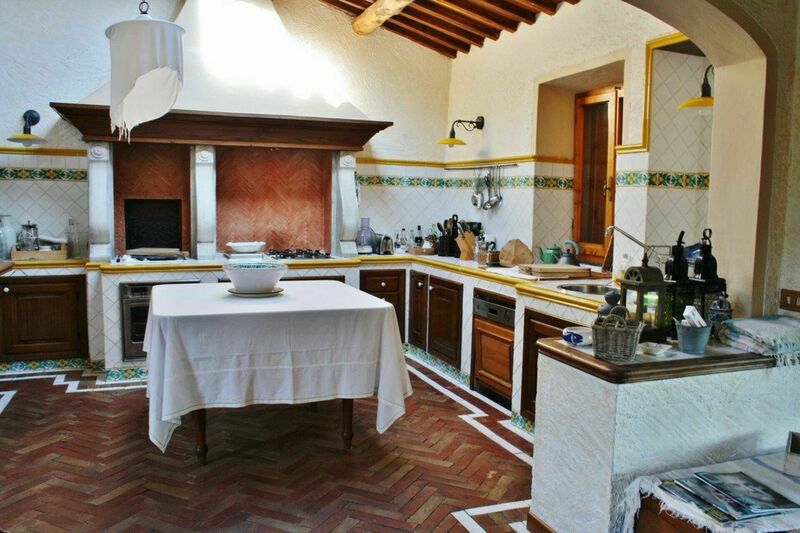 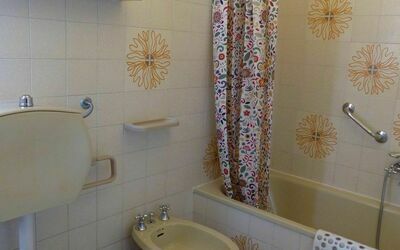 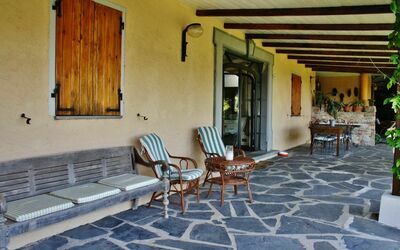 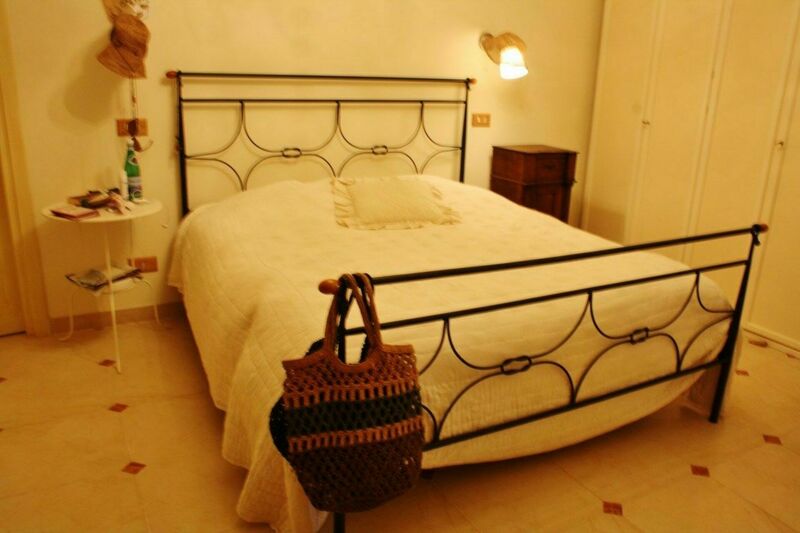 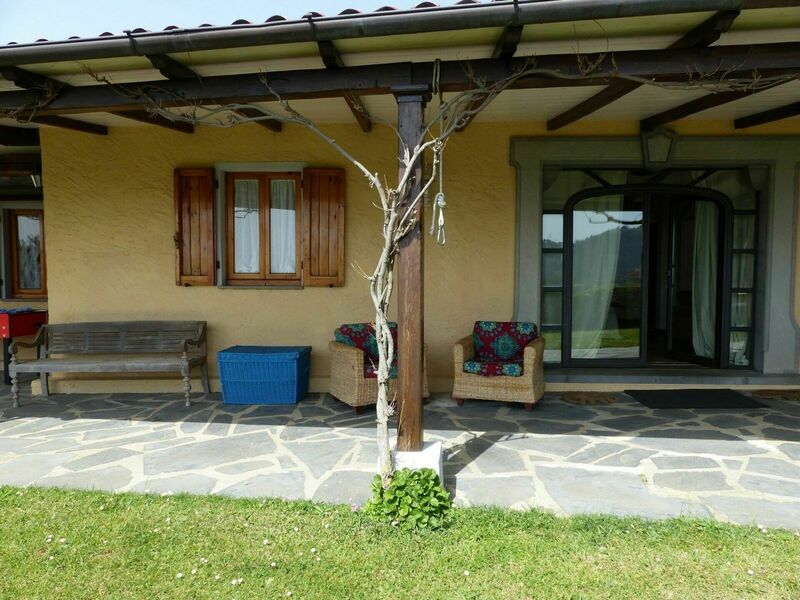 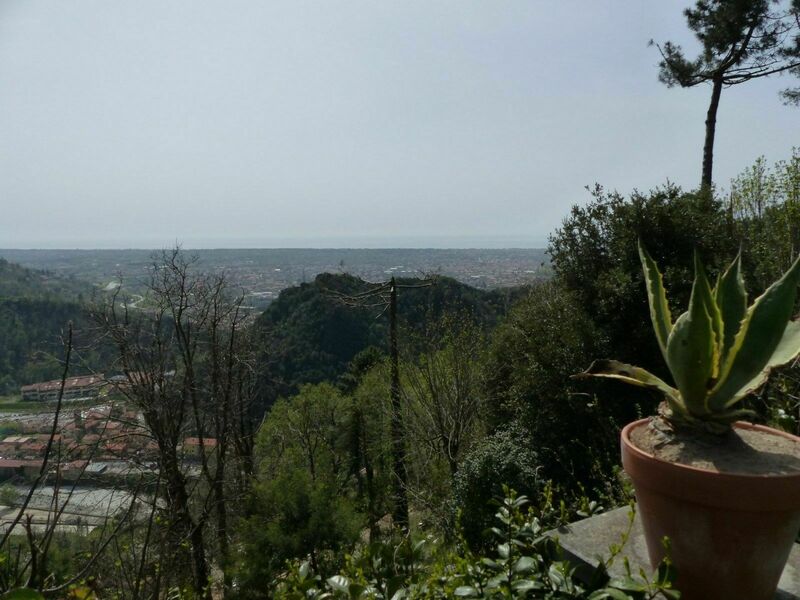 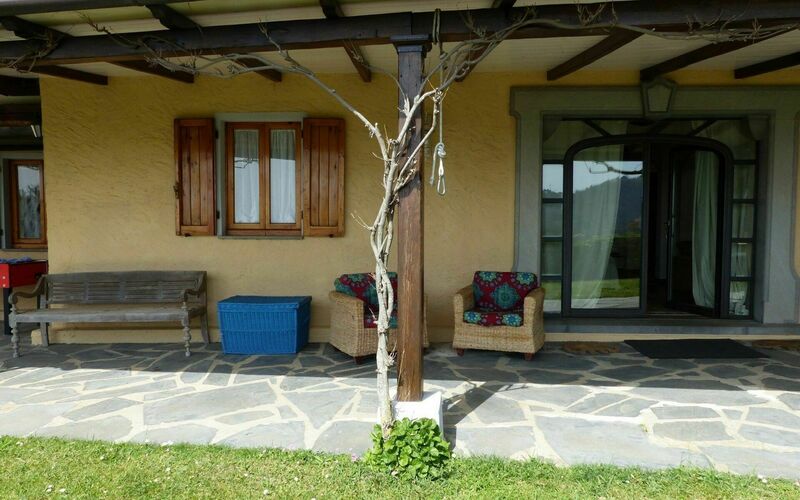 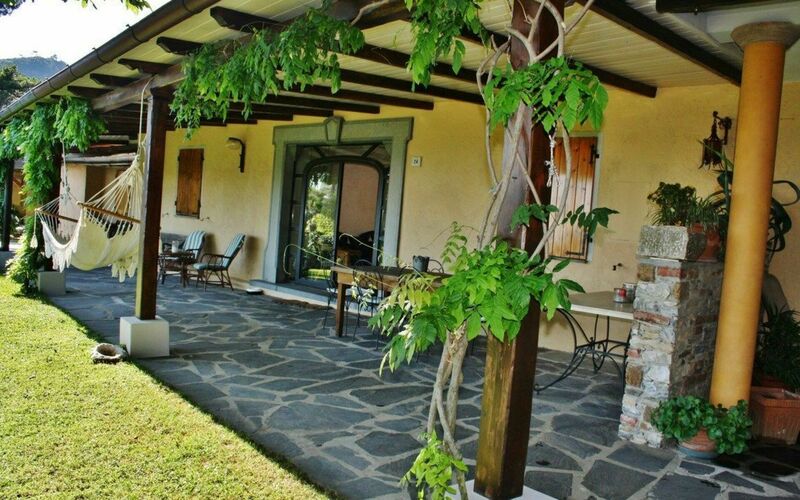 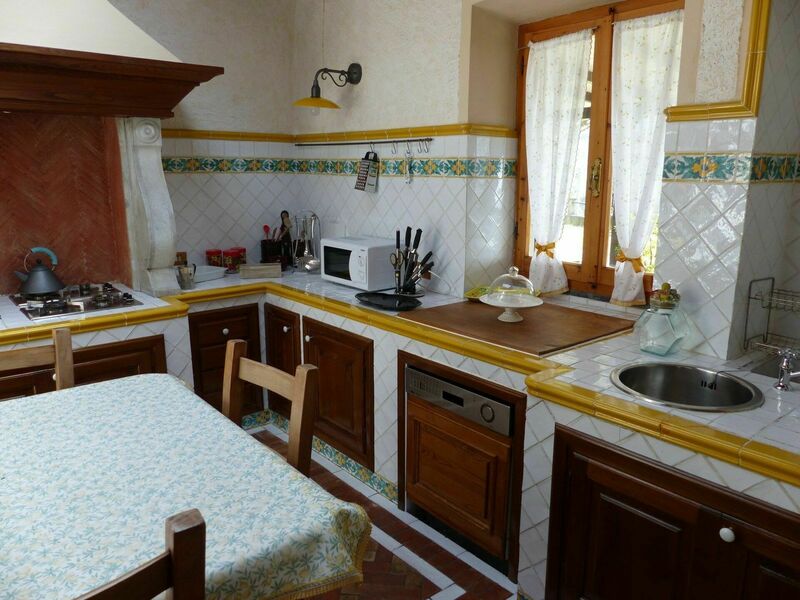 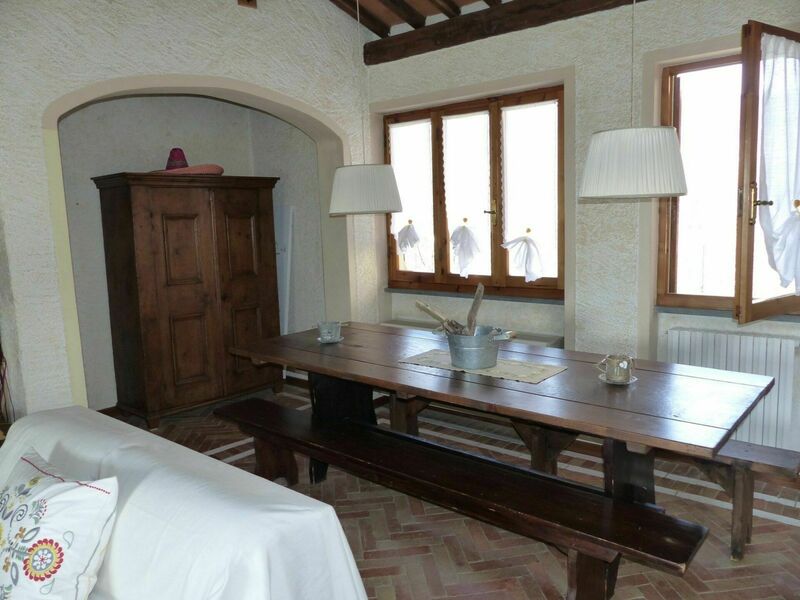 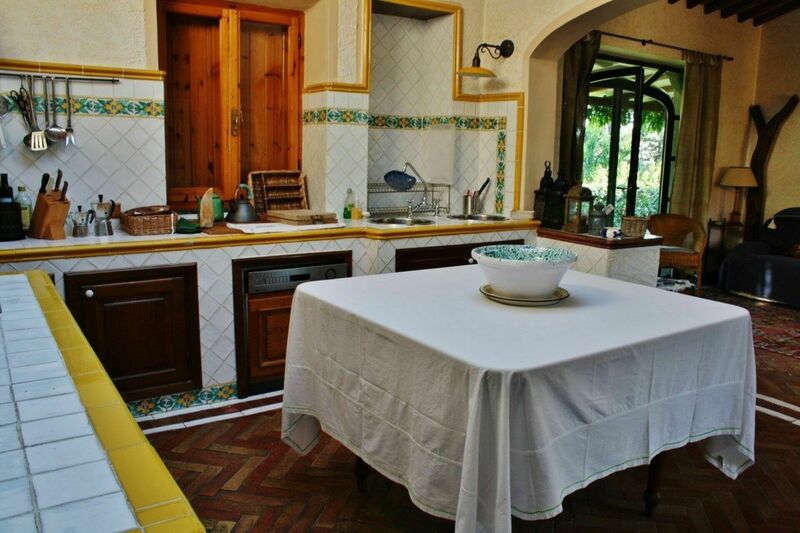 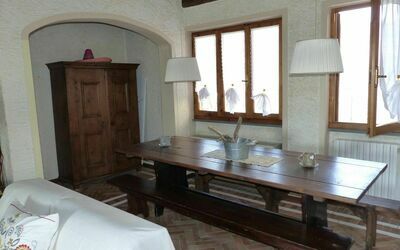 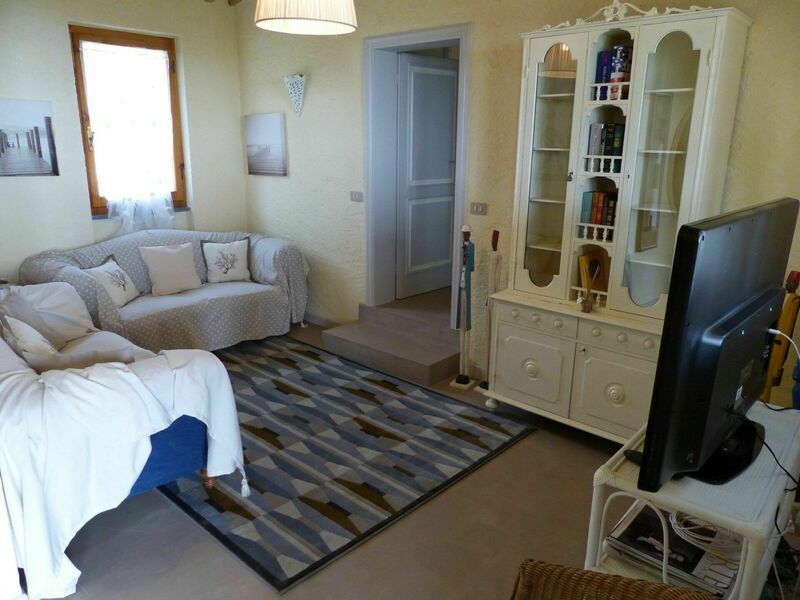 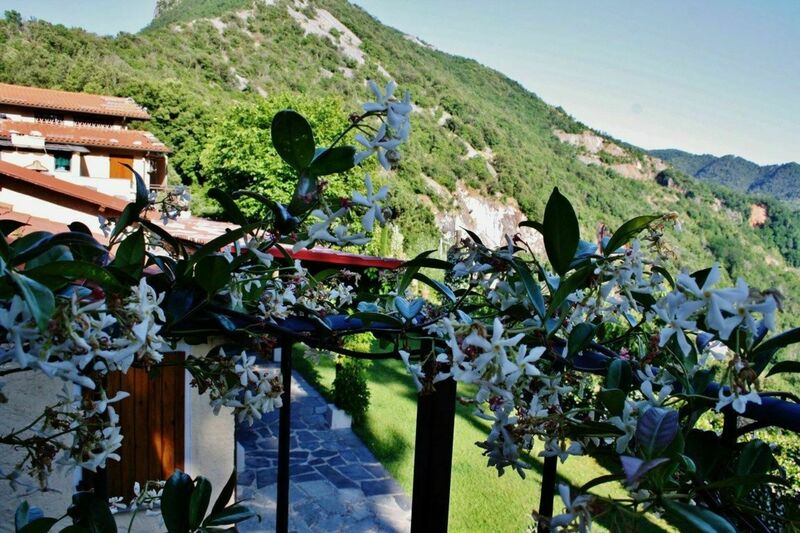 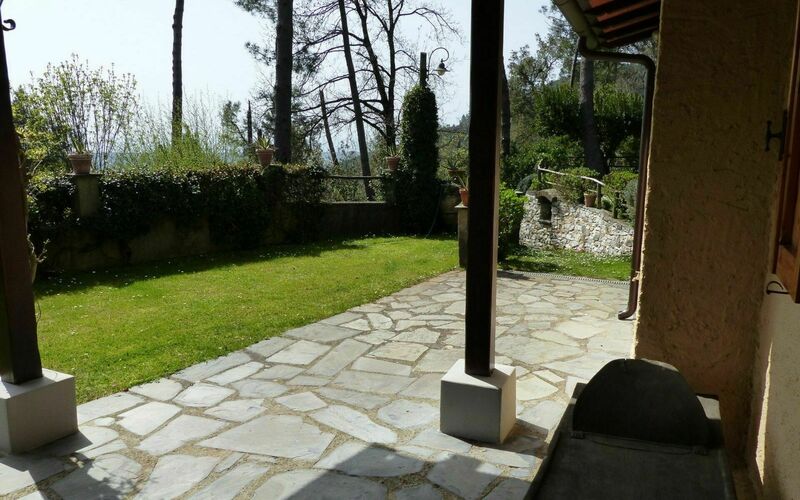 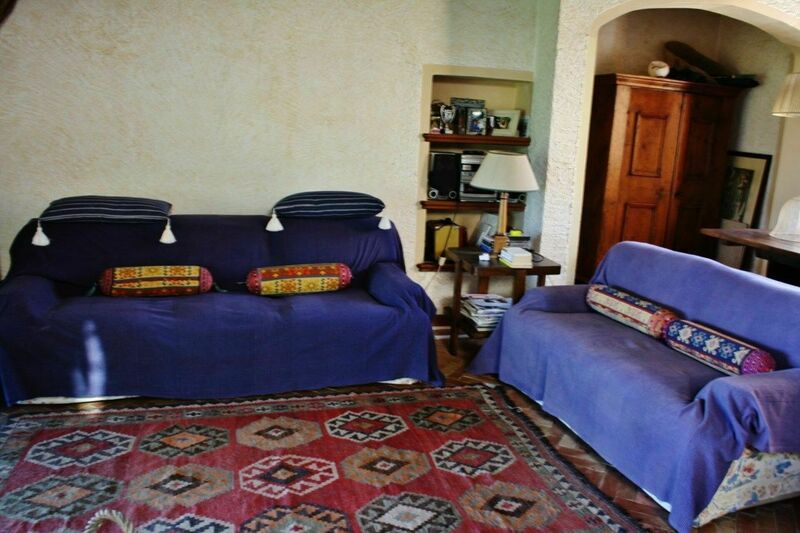 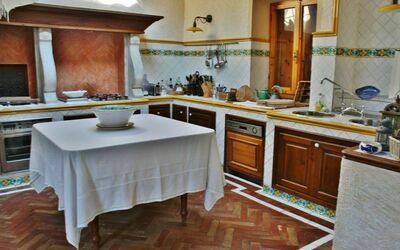 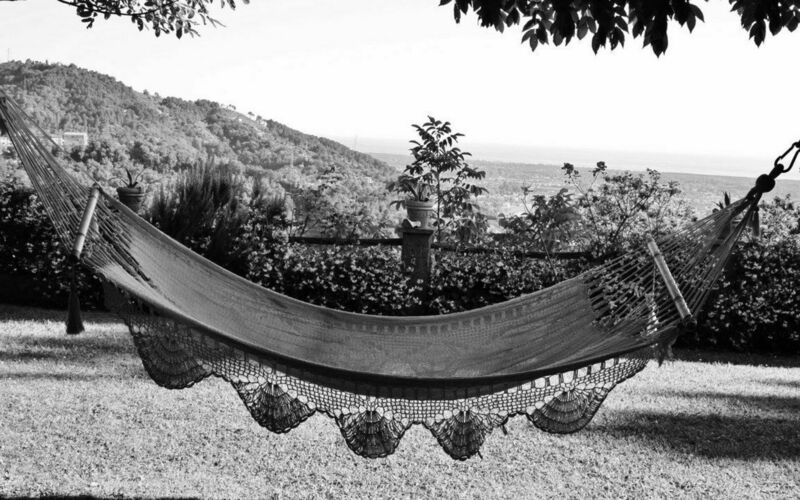 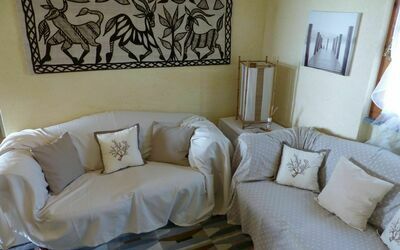 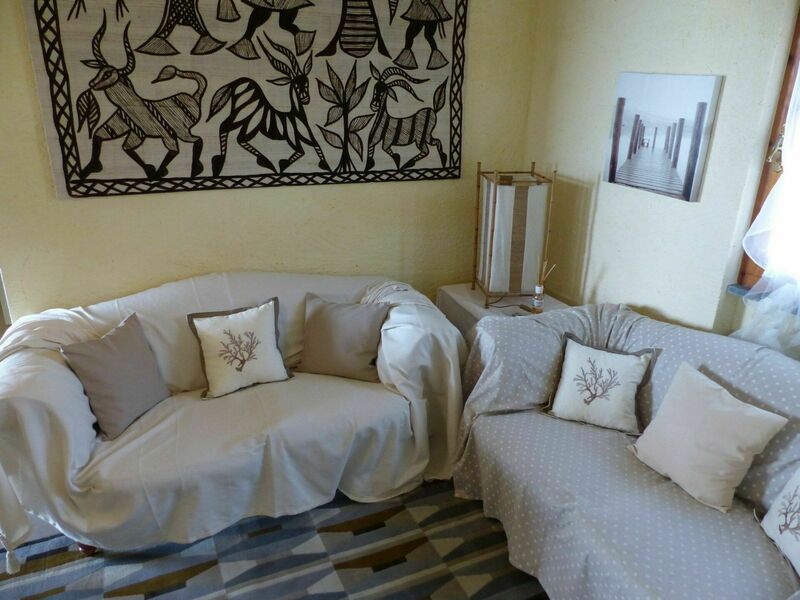 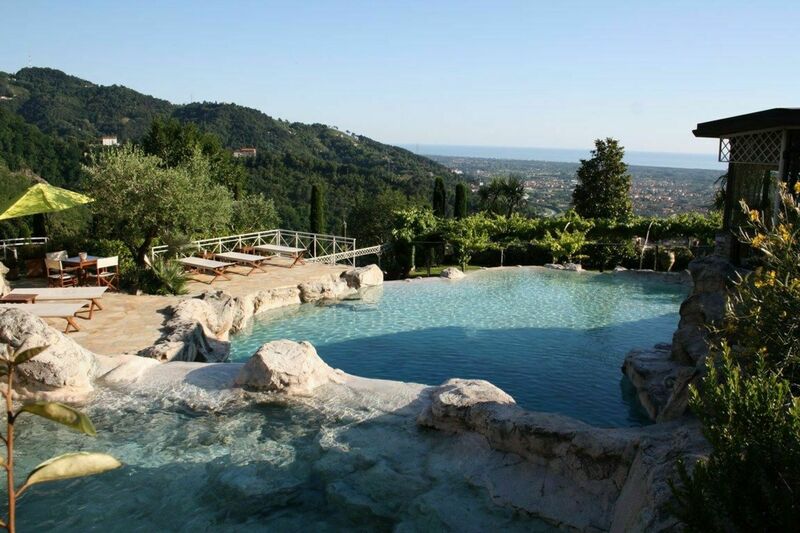 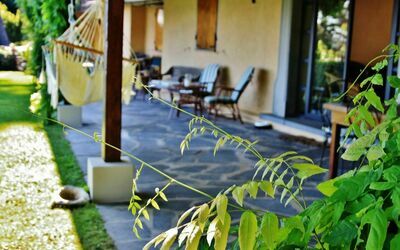 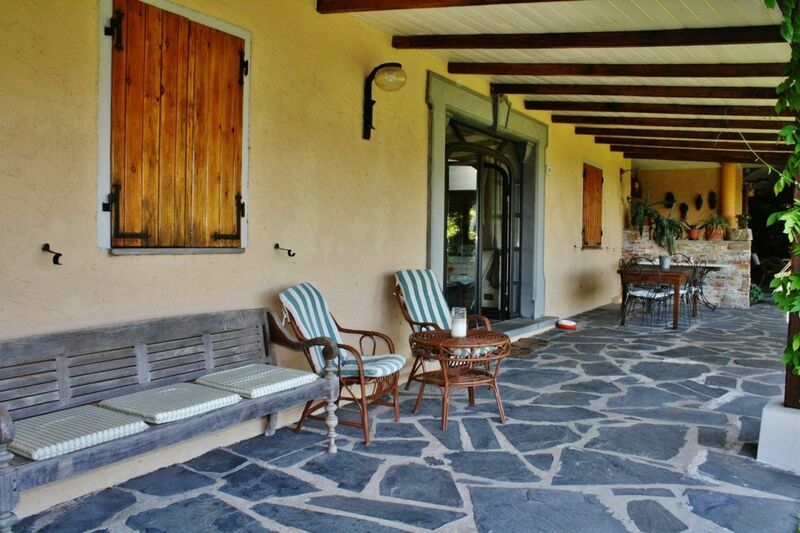 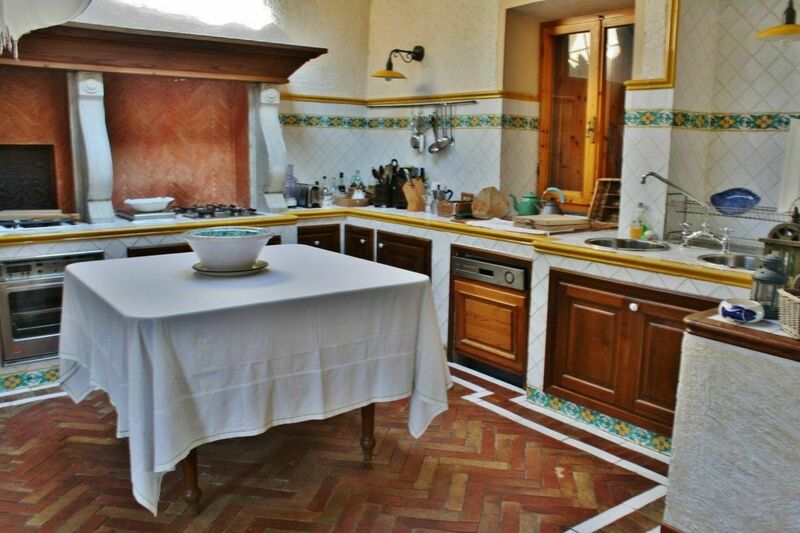 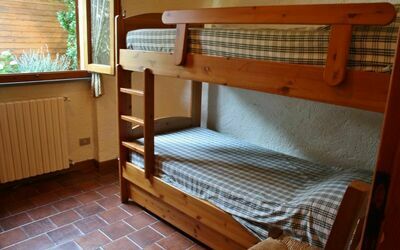 In a dream location, in the hills of Versilia, this holiday apartment is located in a small residence. The view from this position is unique, the sea and the plain below are at your feet. 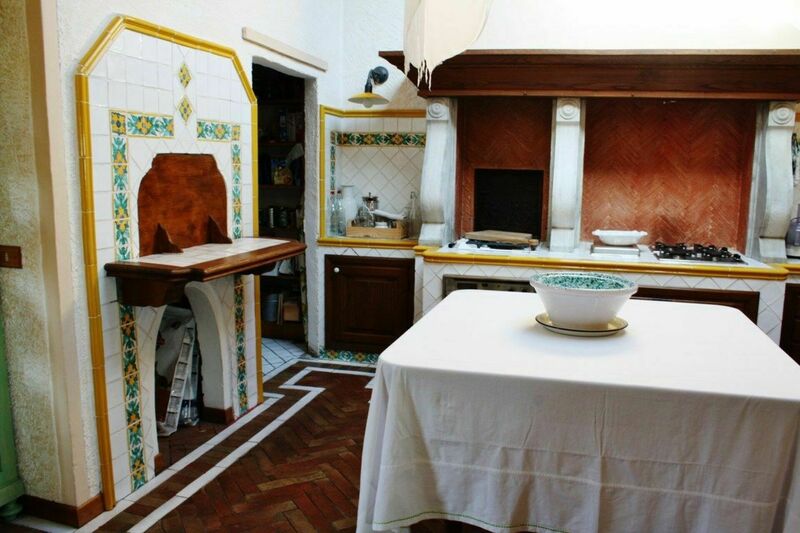 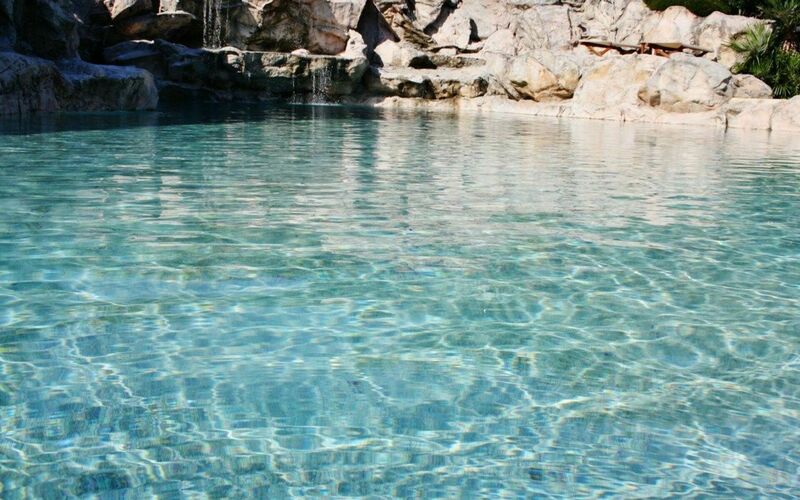 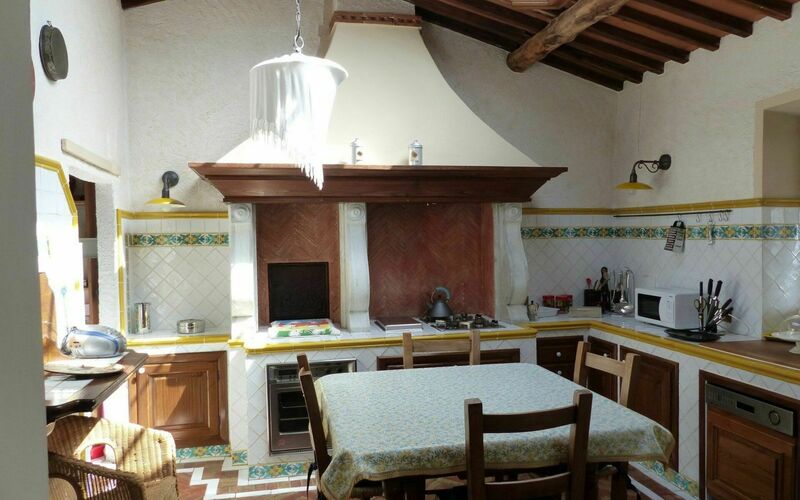 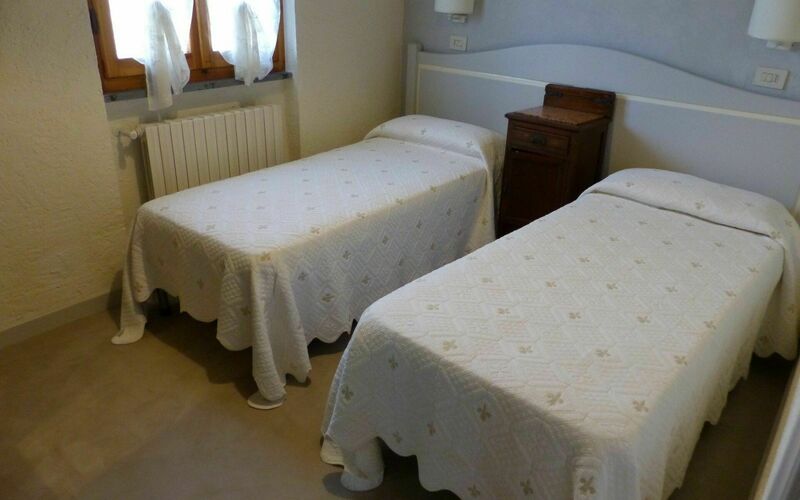 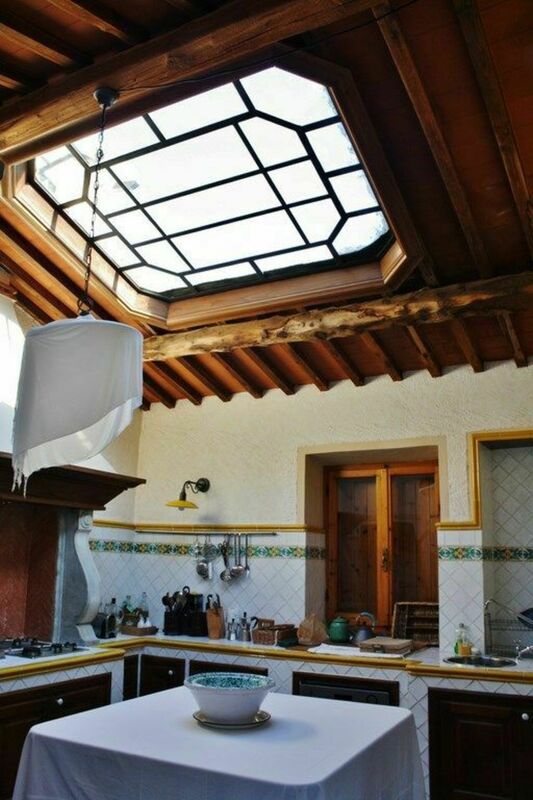 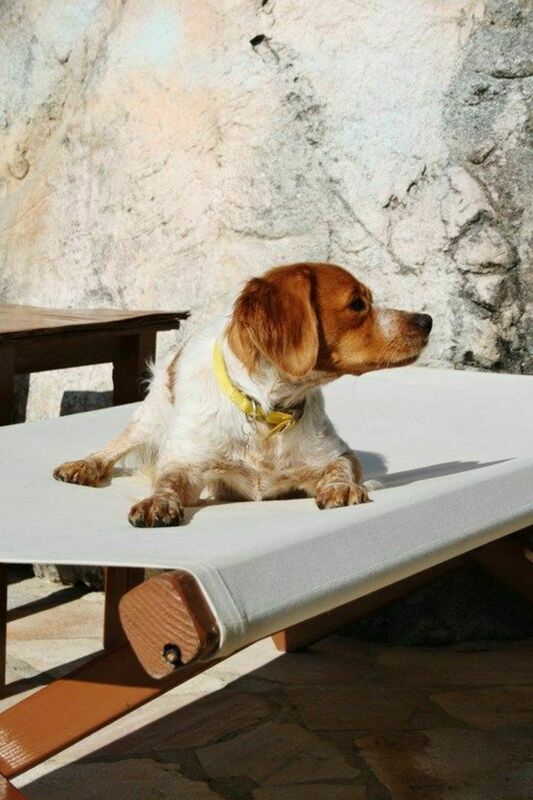 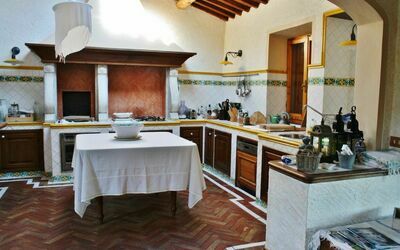 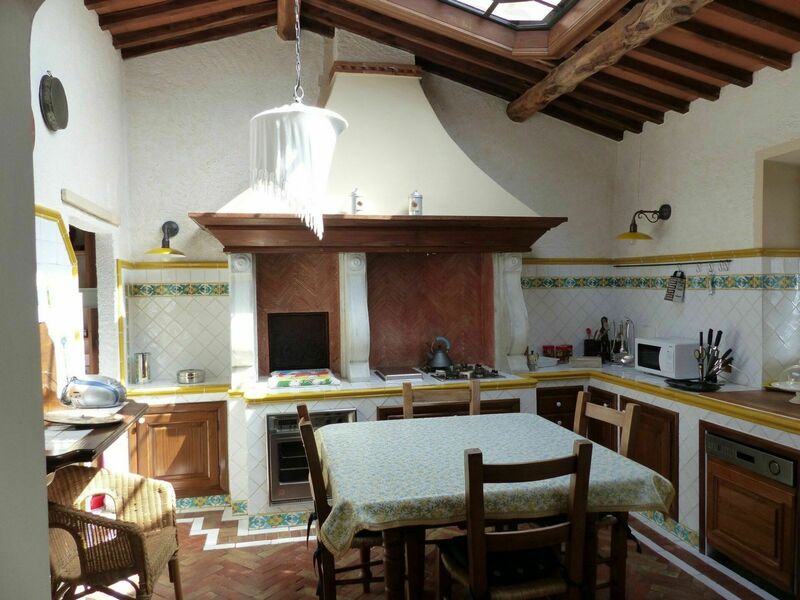 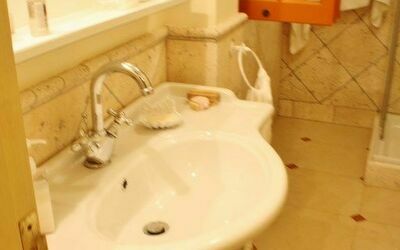 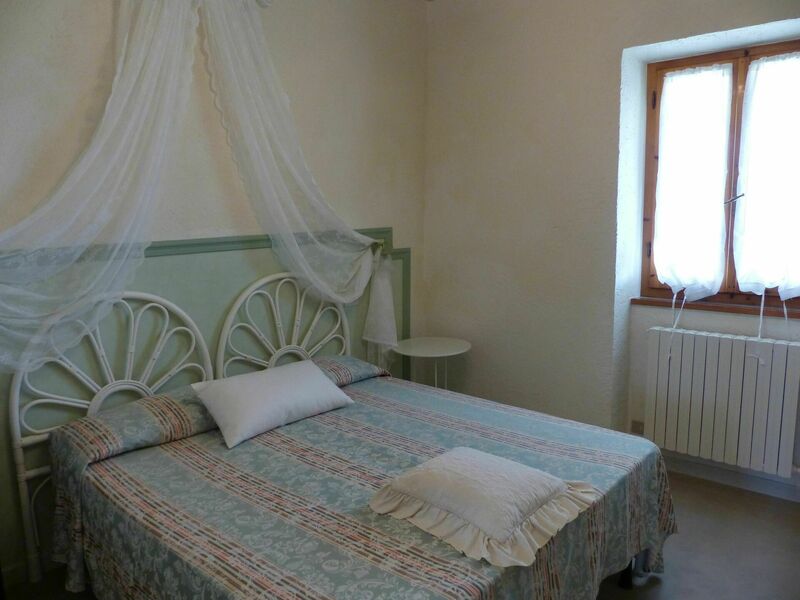 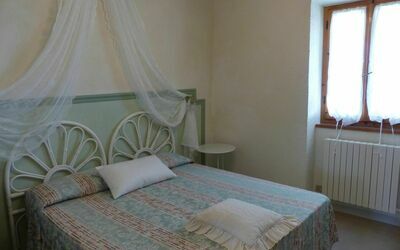 It is located a few kilometers from Forte dei Marmi and the sea (about 6km) in the village of Seravezza. 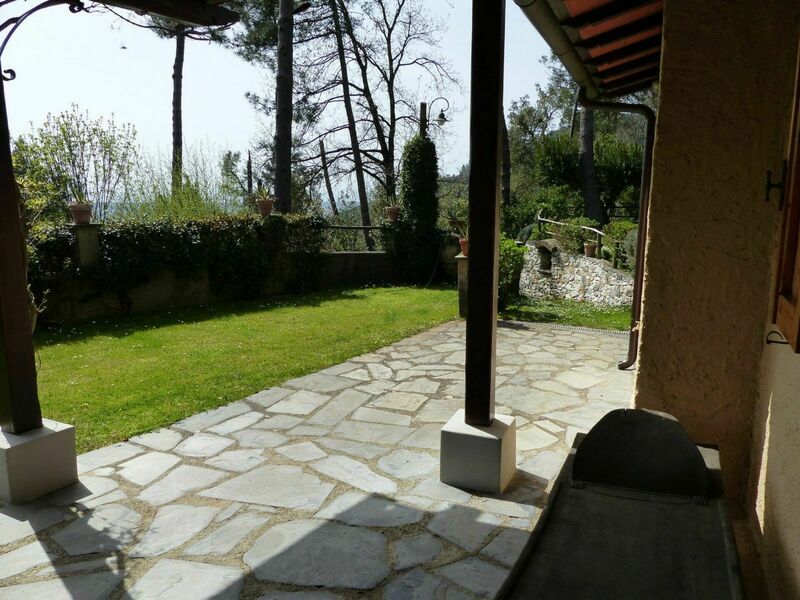 A paved road uphill leads directly to the gate and to the parking spaces of the entire structure (7 units including the owner). 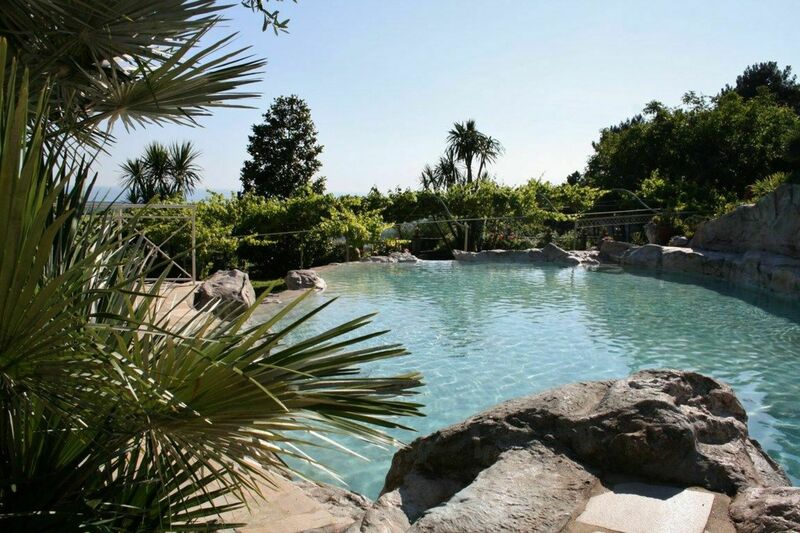 From here opens a wonderful and well-kept garden with flowers and plants with in the middle the most unique pool in common built with stones and with a waterfall. The pool is deep from 0.8m to 3m. 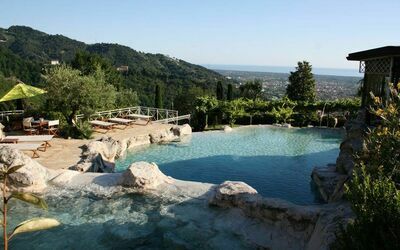 Open from June to mid-September. 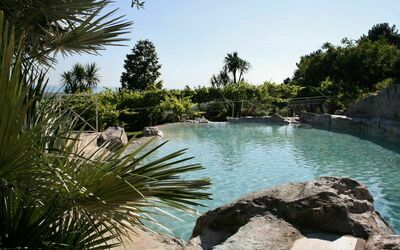 Both from the swimming pool and from the garden, the view extends to the Tuscan islands such as Gorgona and sometimes Elba. 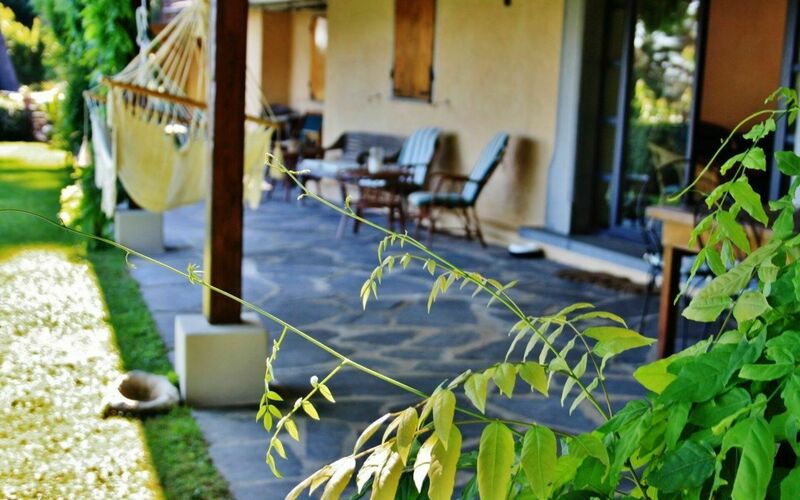 The apartment has a covered veranda with outdoor seating, dining table and sea view where you can enjoy cooked food on the barbecue accompanied by a nice glass of wine. 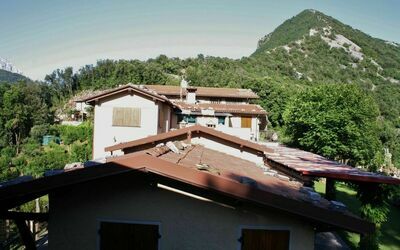 From the road leading up to 900m up a mountain , the road is curvy, but comfortable and paved up to the parking lot . 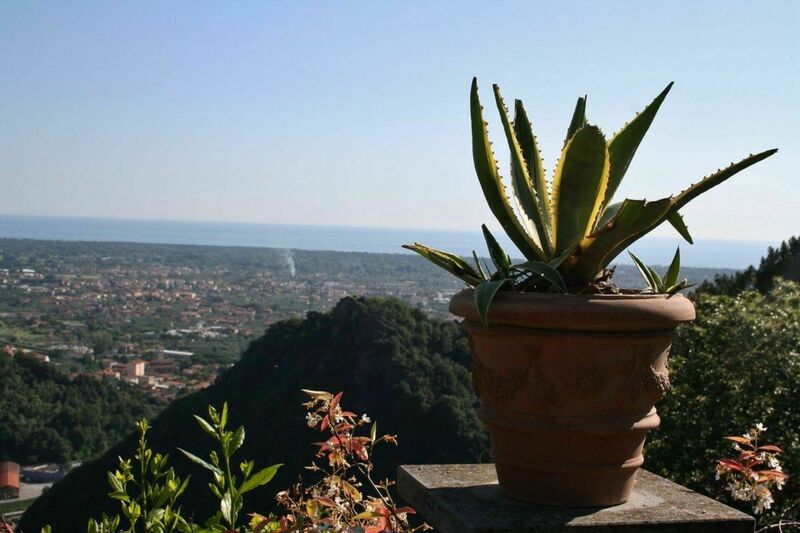 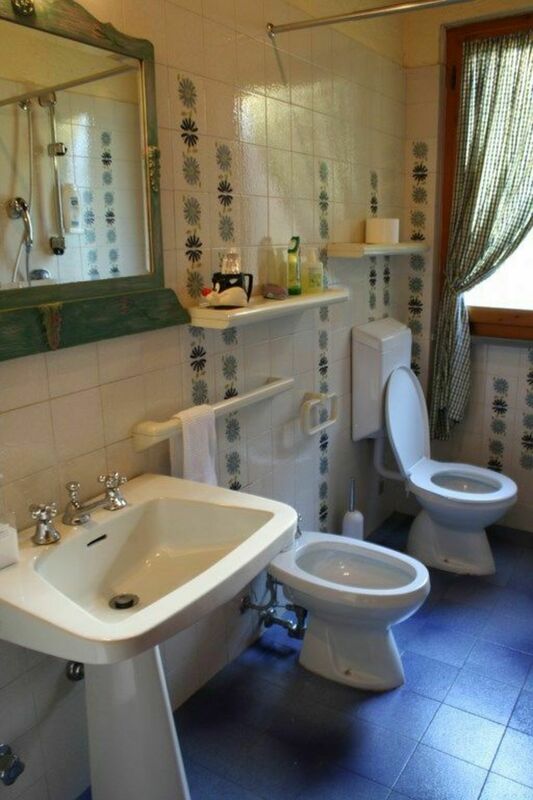 On top, you will first of all have to grasp and enjoy the panorama. 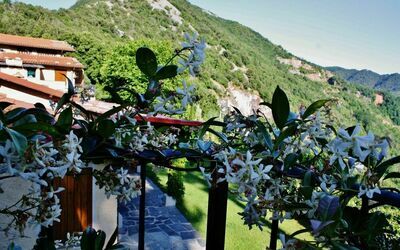 Even in the summer heat, there is a pleasant breeze here, as you can see on snapshots and flies back and since past an eagle. About 14 years ago was here built a kind of mini – resort in private ownership. 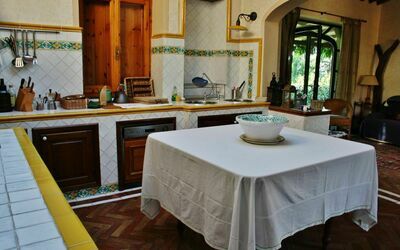 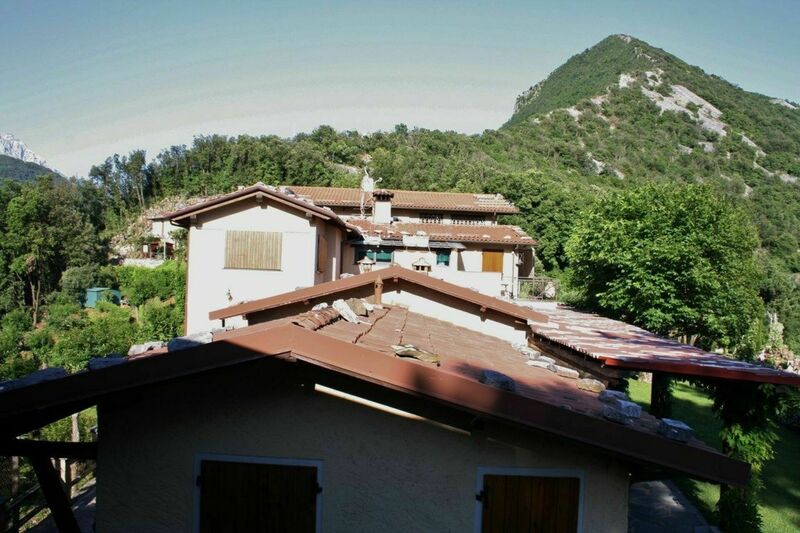 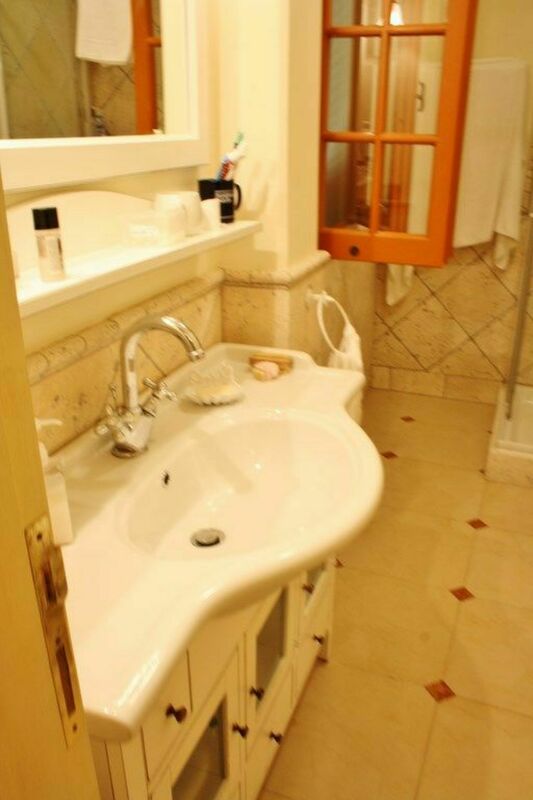 There is a a large house of the owner, who lives here permanently , the apartment Casa sotto, behind our Trenino ( with 140qm) and 4 other houses with a huge pool ( 80cm to 3m depth) much reason and flowers. 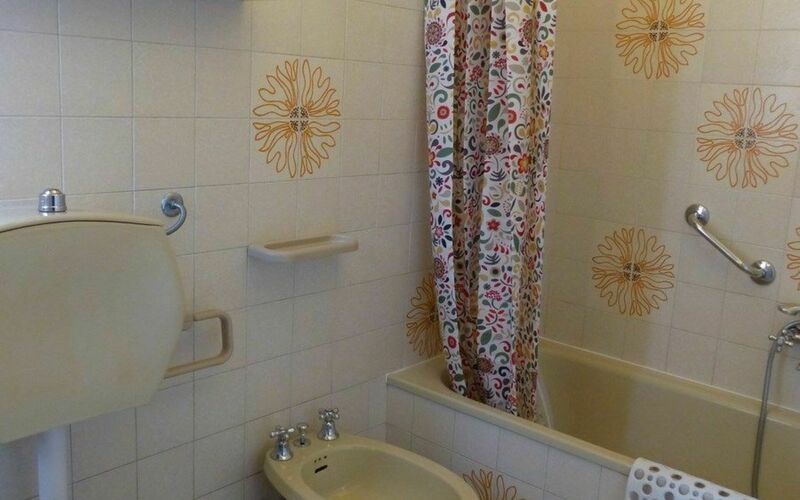 You park on the common parking lot right after the entrance . 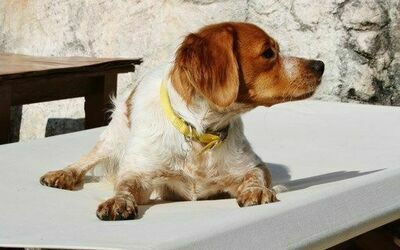 Dogs are welcome ( owner has female dog). 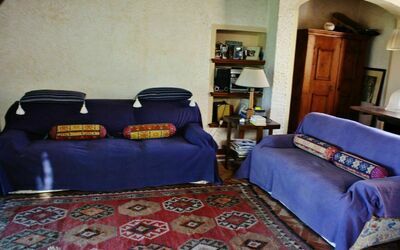 The other houses are rented, guests are usually only in the summer or on holidays. 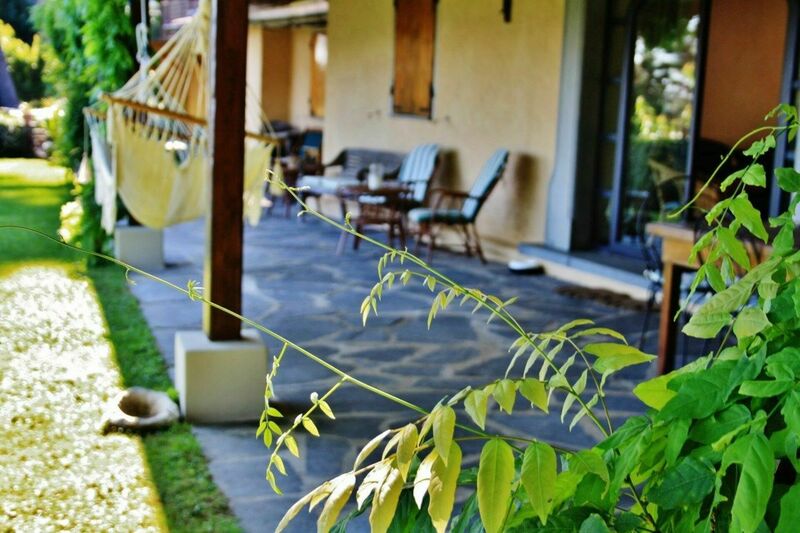 The apartment is on the ground floor, a covered front porch , flowers and plants from all sides give more privacy. 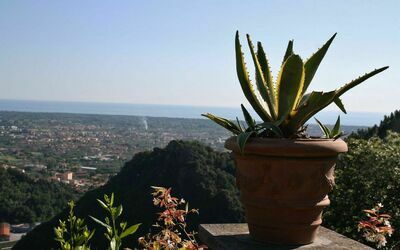 Here you can eat pleasant and look out to sea . Description: kitchen with dishwasher, microwave and stove. 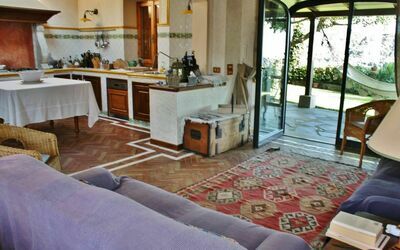 Living room with dining table, exit to the veranda. 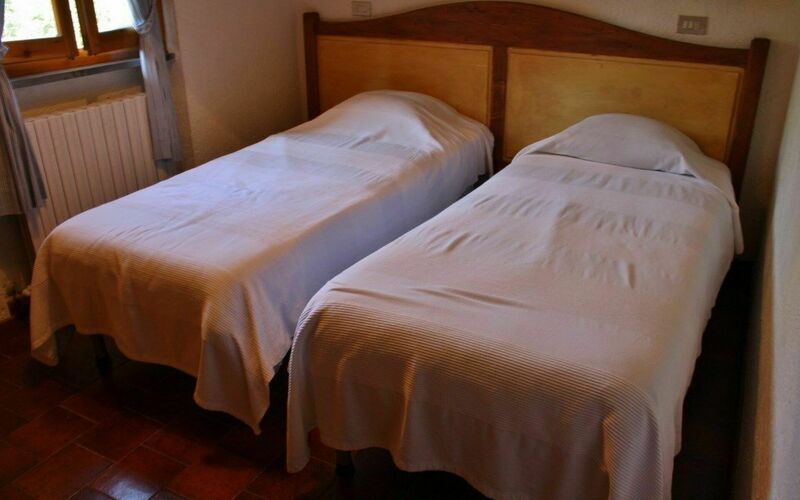 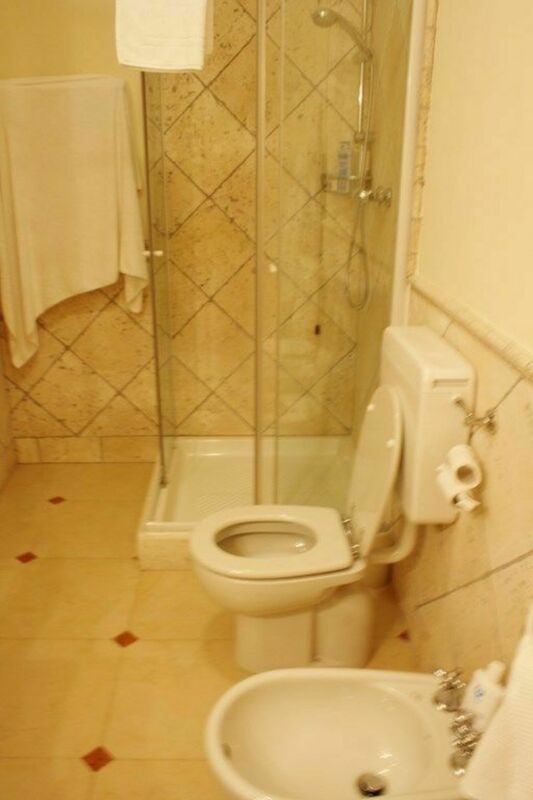 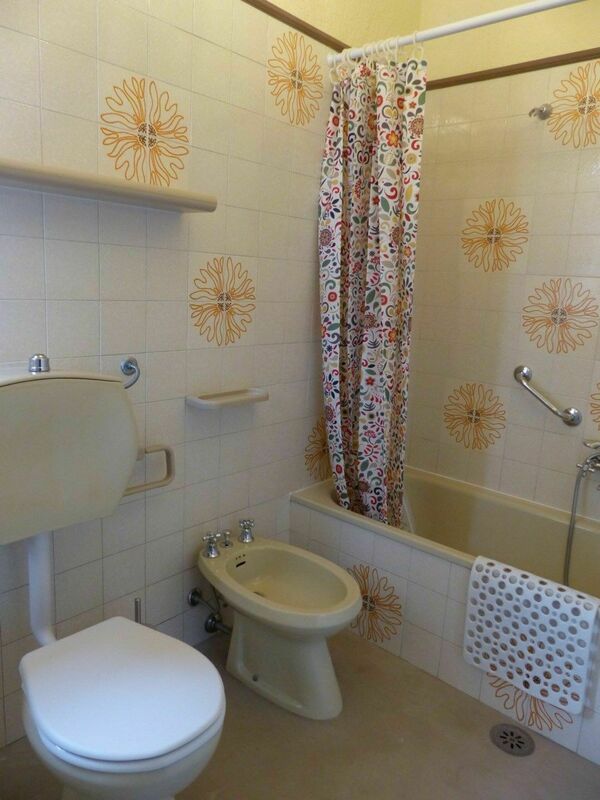 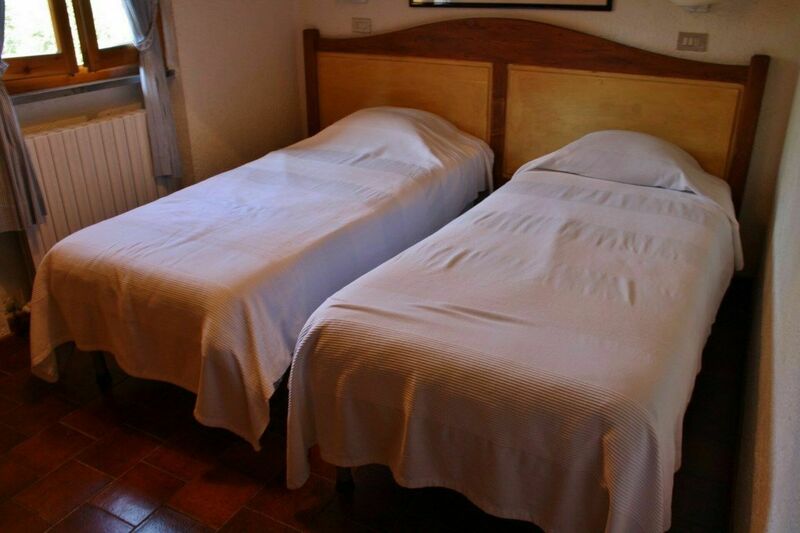 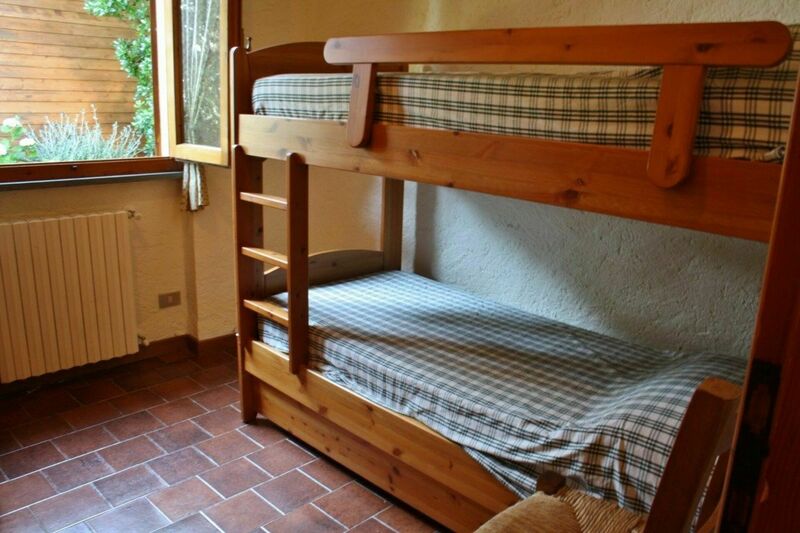 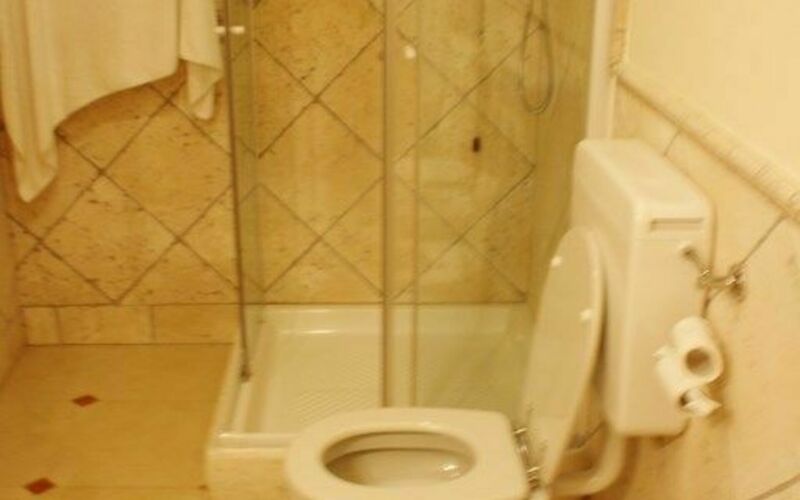 2 bedroom with double bed, 1 bedroom with 2 beds, 1 bedroom with bunk beds. 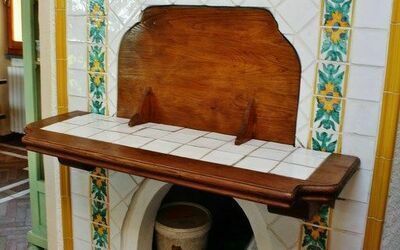 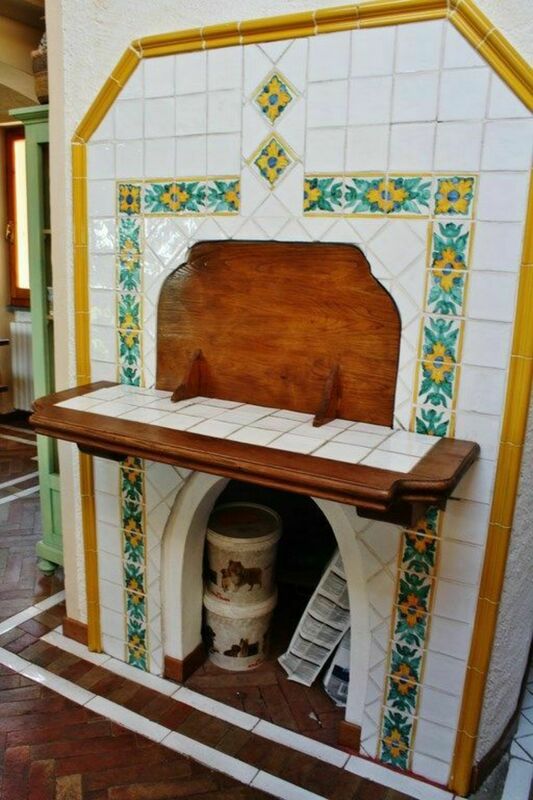 Back a laundry room with washing machine and ironing board + iron for the sole use . 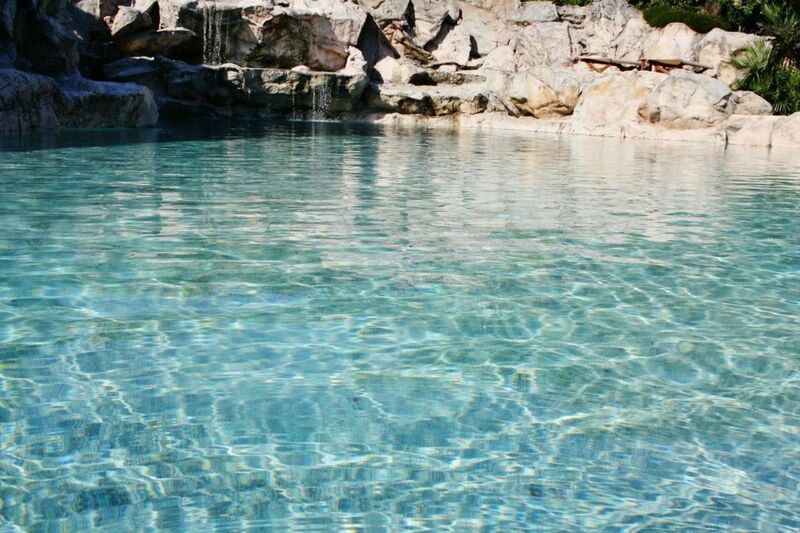 The huge pool with a small waterfall is from 1.6. 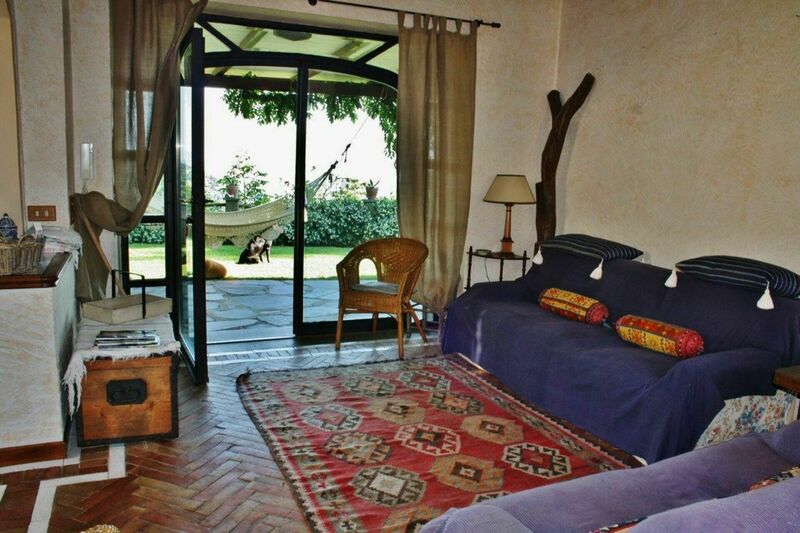 - to 15.9 . open and available to all guests of all houses and apartments. 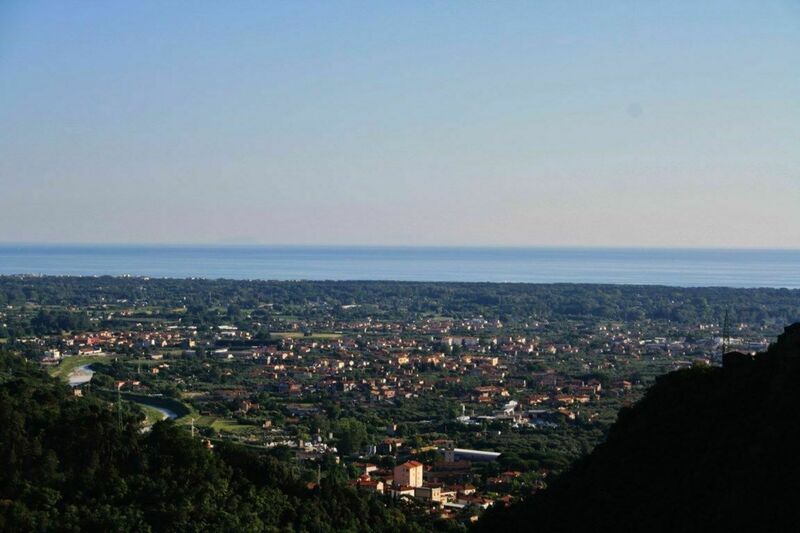 The natural beauty invite to stay the hole time here - if you are looking for variety, you have several options : the best sandy beach of Versilia , Forte dei Marmi there are 6.5.km. 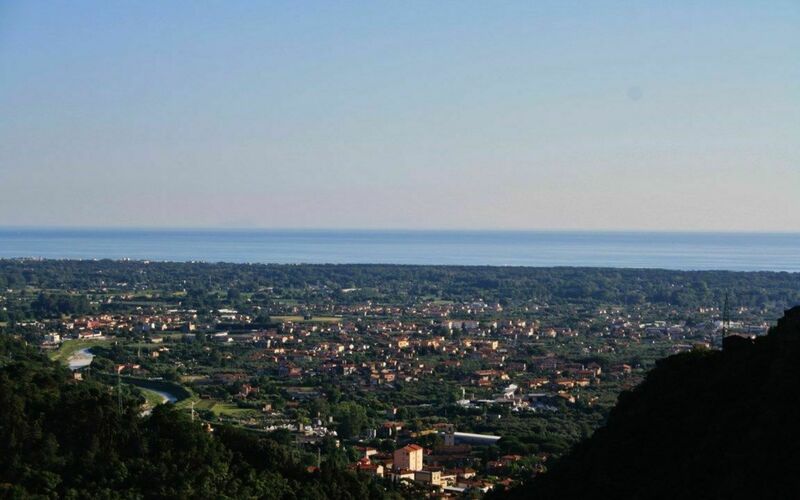 Only about 40km away Pisa and Lucca the melancholy city with many exhibitions, only approximately 30 Directly from Seravezza , you can cross the mountains in Camaiore in the Garfagnana and from there again over the mountains also to Lucca . Not far from here in the town of Pietrasanta visits were recently released several caves that were found in which tools and bones, which indicates that Neanderthals lived here . This means 200000-30000 - We'll arrange for you during your stay a visit.